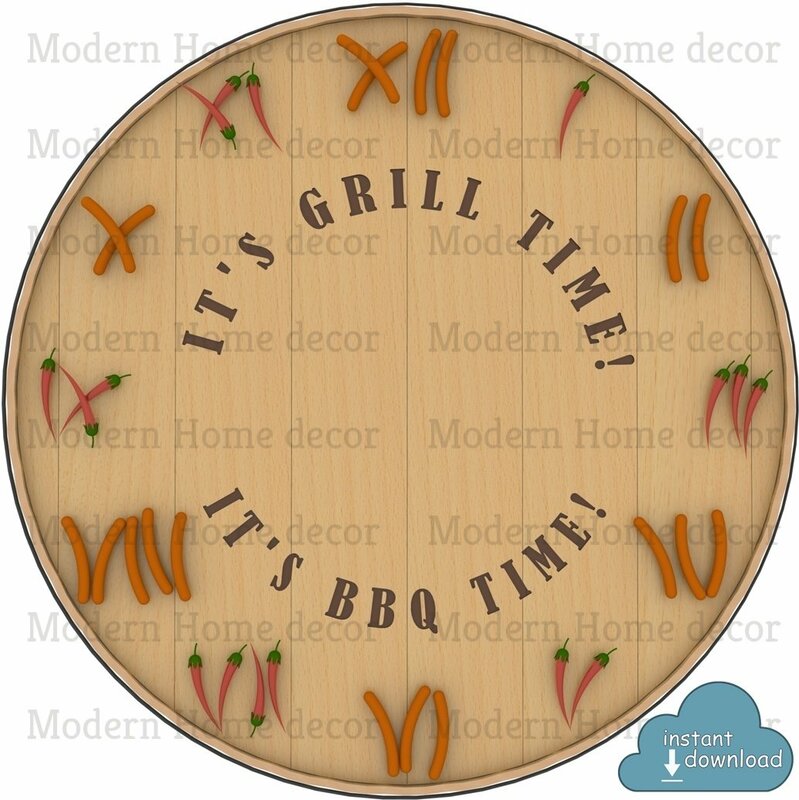 Grill & BBQ Time Clock Face Instant Download. "It's Grill Time! It's BBQ Time!" Printable DIY Clock Face. Instant Download. The clock face idea is a barrel top looking base with roman numerals composed of hot peppers and smoked sausages. The clock face was designed by ourselves completely from scratch, so it is exclusive. The clock face was designed by ourselves completely from scratch, so it really is exclusive. You purchase high resolution 8" X 8" (approx.20 cm) 3400 x 3400 JPEG image (300dpi) that can be printed at home! It's a great supply for making a stylish wall clock. Big enough to make a large, about approx. 19" (30cm) diameter wall clock, but can be printed much smaller / larger without losing any quality. Upon ordering, once payment has been confirmed, your digital files download link will be made available for you. Please NOTE: this is a JPEG file only! No clock is included! NO WATERMARK will appear on your purchased image! COPYRIGHT: You are welcome to use the artwork for personal creations or SMALL BUSINESS commercial uses when printed. You may not resell it as a digital item or digitally delivered item.